OSLO, NORWAY 2011-07-29 Melafestival. The three day festival reduced to a one day mourning with international artists and speakers. 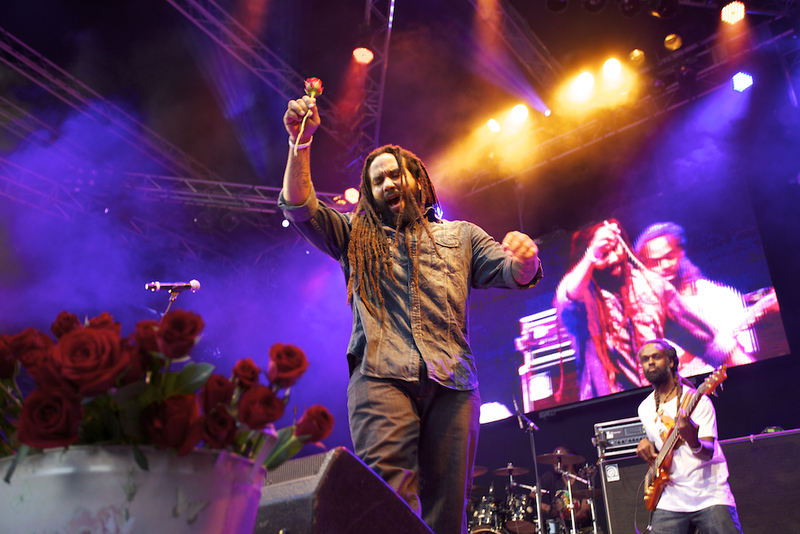 PHOTO: PaÌl Bergstad PICTURED: Ky-Mani Marley, son of Bob Marley. Grew up in Miami and his musical life startet in 1997 with his cooperation with Pras from The Fugees.